We brought this magnolia with us. Last year it didn't have any flowers but this year it's full. It's clearly a good year for magnolias, I see them everywhere as I'm out and about. 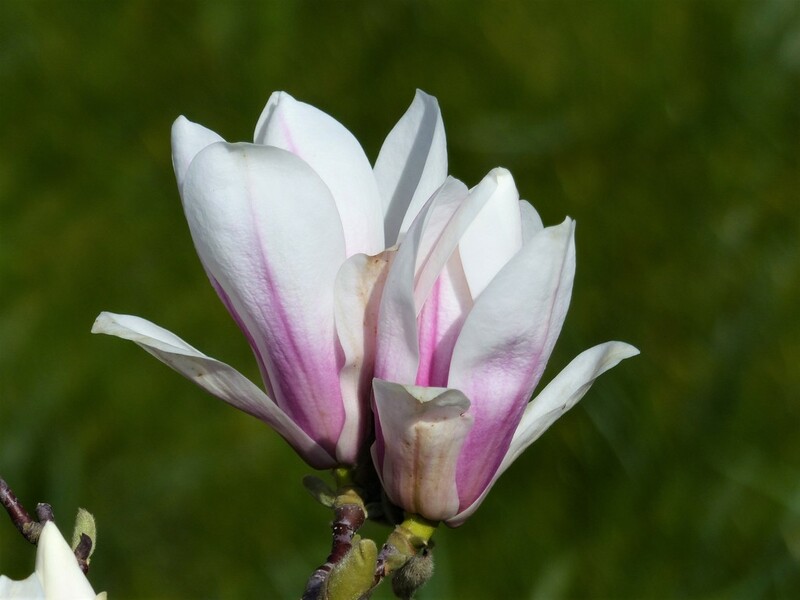 The fact that it's a dwarf magnolia is only relevant to me as 365 is my visual diary and we have 4 magnolias. So beautiful. I love the soft pink. So beautiful , yes it must be a good year for them the trees around here are laden with flowers too . Really nice! Yours is ahead of ours. These blooms are quite lovely -- beautiful colors! Beautiful flowers so well focused and full of details. Beautiful shot. I love magnolias - never seen them growing here, probably they don't stick our type of weather.